How a partnership with Envirofluid helped a major mining company save thousands of dollars per year. 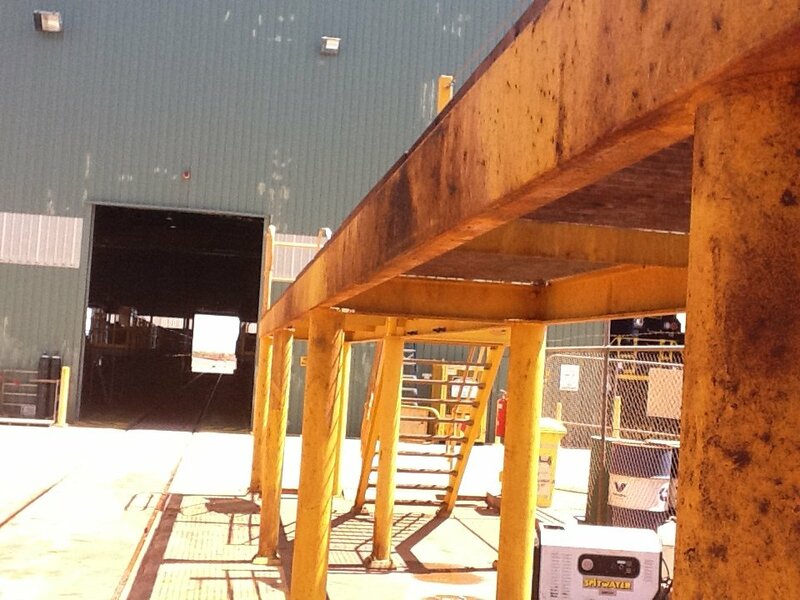 With the help of Envirofluid, a major Australian mining company dramatically improved its oil water separator efficiency, eliminating a major cost burden associated with its rail operation. With increasing wastewater environmental regulatory pressure worldwide, this Australian icon has been able to increase its environmental sustainability, while simultaneously slashing costs, and improve cleaning results and worker health. By implementing a simple change in the choice of cleaner / degreaser the operations oil water separator performance was instantly and radically improved. Due to the shift towards bio based, quick break degreasers the company will never pay the huge oily water disposal costs again, and the water quality is of a standard which allows them to recycle it for use in dust suppression. The hydrocarbon level that is satisfactory for re using the water as dust suppression is 15ppm (parts per million). They are now achieving hydrocarbon levels of 0.75ppm. An almost perfect oil separation. They not only save on their waste costs, but can re-use the water on site, saving on water procurement costs as well. By substituting a conventional degreaser with Triple7 Heavy Duty quick break degreasr, Envirofluid helped its client reduce costs and improve its sustainability for its shareholders. The safer degreaser also improved the short-term health and comfort of their workforce by removing the toxic degreaser previously being used. The enormous cost savings provided by complete separation of the oily water without any significant associated infrastructure costs was a sensational improvement to business. The cleaner, oil free wastewater has allowed further innovation in enabling it to be recycled for other activities around the site, increasing their environmental image and the sustainability of the company’s Pilbara operations. Located in the iron ore rich Pilbara region of Western Australia, the company operates a number of train services transporting ore from its mining operations to various ports for export. One of the group’s locomotive service hubs was experiencing huge oily water disposal costs from the locomotive degreasing and wash bay. The chemical reaction of conventional degreasers form strong emulsions with oil which are then difficult to separate with oil water gravity plate separators which work on the principle of oil / water phase separation. The result is an oil water emulsion that does not separate and can only be disposed of through highly regulated and costly processes, ultimately costing the company hundreds of thousands of dollars per year. Even the oil and water emulsions of so called ‘quick break’ degreasers often do not ‘break’ with the oil quickly enough for a large volume wash bay, costing the user far more in disposing of oily waste than they saved in using what they thought was an economical degreaser. How do you increase oil water separator performance of a large scale wash bay while improving the cleaning results of dirty, greasy locomotives working in the hot Pilbara dust? The hazard to the company was the ongoing high cost of disposal of oily water due to bad oil water separation, which was proving unsustainable, and making up a significant and unnecessary burden on a company with already large costs in maintenance, personnel, and compliance. Being an S&P/ASX50 company, and trying to constantly bring value for the benefit of their many stakeholders, the company’s vision is to be the safest, lowest cost and most profitable iron ore producer. Paying hundreds of thousands of dollars a year to simply dispose of waste water from the wash bays was a hazard which, if eliminated, would make a significant contribution to the company’s ability to grow. Triple7 Heavy Duty quick break degreaser was substituted in place of the current cleaning agent. Triple7 Heavy Duty does not form an emulsion with the greases and oils, but lifts and releases at the surface for easy removal, and allows for true and complete oil water separation. Triple7 Heavy Duty is not only a powerful bio-based cleaner and degreaser with significant waste water benefits, it is also completely free of any hazardous and toxic ingredients, making it safer for the users as well! This product was simply spray applied to the surface, without the need for a pressure washer, to clean dust and oil from the trains. The oil water separator performance was radically improved. The company will never pay the huge oily water disposal costs again, and the water quality is of a standard which allows them to use it for dust suppression. The hydrocarbon level that is satisfactory for re using the water as dust suppression is 15ppm (parts per million). They are now achieving hydrocarbon levels of 0.75ppm. An almost perfect separation. They not only save on their waste costs, but can re-use the water on site, saving on water procurement costs as well.